Time to raise some cash for some big expansion plans. Many were skeptical back in 2015 when Ferrari went public, but today the financial numbers speak for themselves. Ferrari is doing better than ever with its shares rising about 62 percent since that initial public offering (IPO). 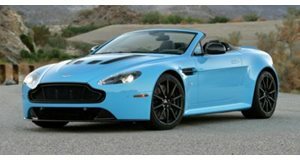 According to , Aston Martin is now seriously considering a public offering of its own. But will this move work for the UK luxury and sports car company in the ? That’s exactly what Aston Martin is trying to figure out right now. Until it receives its 2017 financial report results, no decision regarding an IPO, which would likely be listed in London, will be made. One of the reasons why Ferrari went public was because it wanted to raise cash, which it very much did. 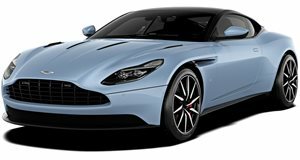 Aston Martin also so happens to be in need of cash in order to expand, which would, hypothetically, lead to increased sales and profit in the years ahead. However, Aston Martin doesn’t have the same level of global brand recognition that Ferrari enjoys. It also currently sells less than of half as many cars as Ferrari. In order to boost the brand name, to yachts, apartments, and handbags. Fortunately for Aston Martin, things have been going well lately, with , as well as the eventual arrival of the DBX crossover. In the meantime, the status quo remains and Aston Martin won’t make a final decision regarding a possible IPO until sometime next year.